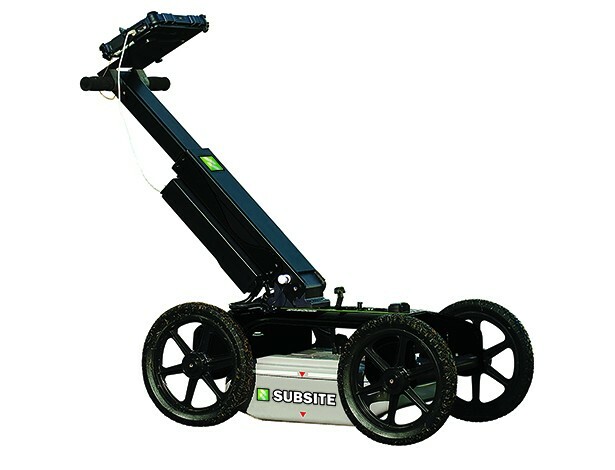 The Subsite 2450GR ground penetrating radar system is an invaluable utility locating device designed to help subsurface utility engineers and other contractors locate any type of utility, both metallic and non-metallic, beneath soil, rock, pavement and other surfaces. The 2450GR’s advanced locating capability makes it ideal for a wide range of other applications, including detection of voids, sinkholes, concrete and underground storage tanks. 2450GR locates both metallic and non-metallic pipes and cables to allow one-pass locates at depths of up to 19.7 feet (6 m), depending on soil conditions and antenna selection. With 5.6 mph survey speed and digitally controlled radar, the 2450GR provides fast, clear images. Dual-frequency antenna simultaneously sweeps in two frequencies; this allows the operator to see both deep and shallow objects simultaneously. Earth-engaged antenna provides better contact on uneven terrain and reduces signal loss. 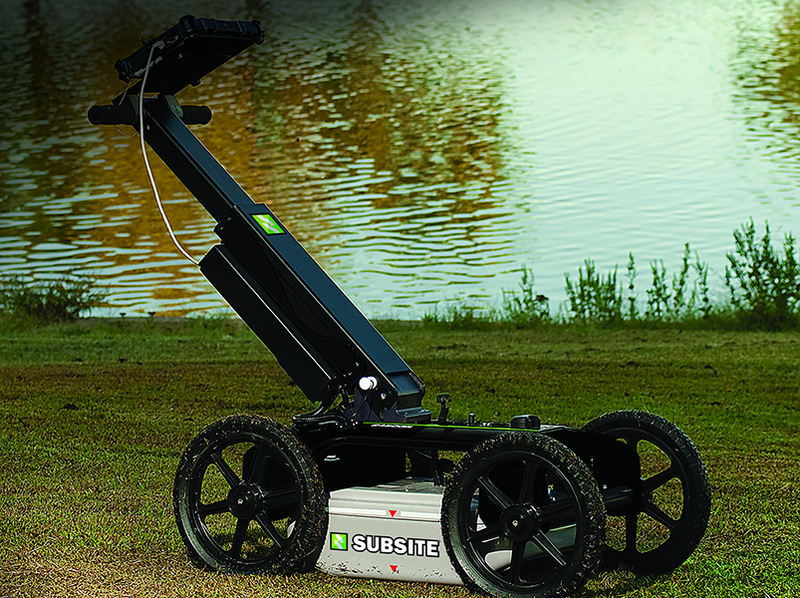 Rugged, four-wheel cart design allows the operator to scan in the easiest and roughest conditions. 2450GR folds up into a size that is easy to transport.